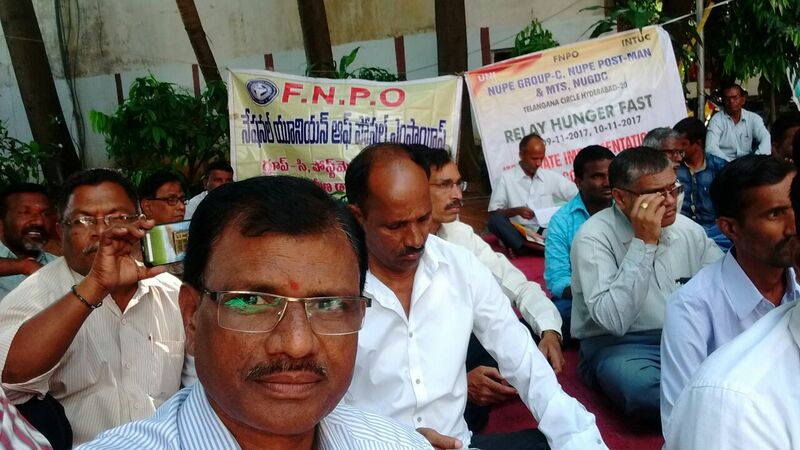 Relay Hunger Fast Programme at AP Circle Office , Vijayawada demanding immediate implementation of GDS Pay Committee Report. 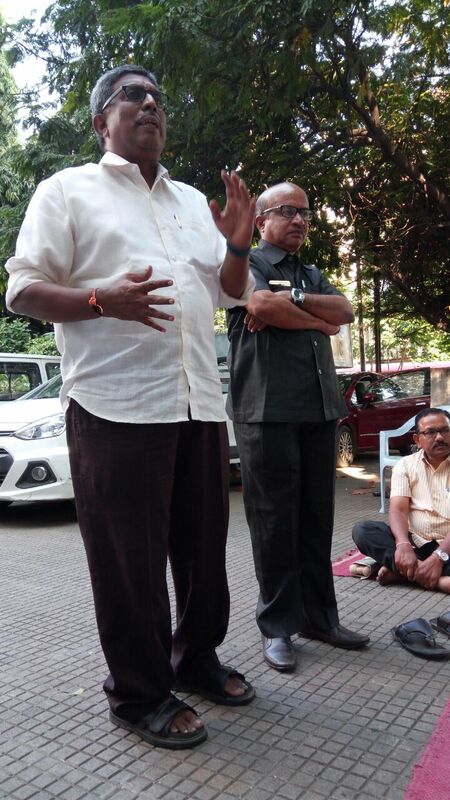 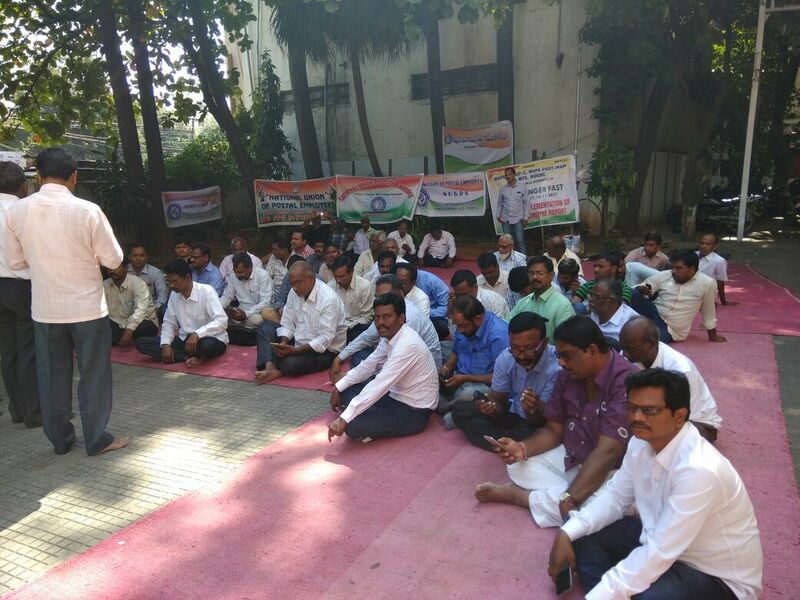 Dharna programme started at 10 AM. 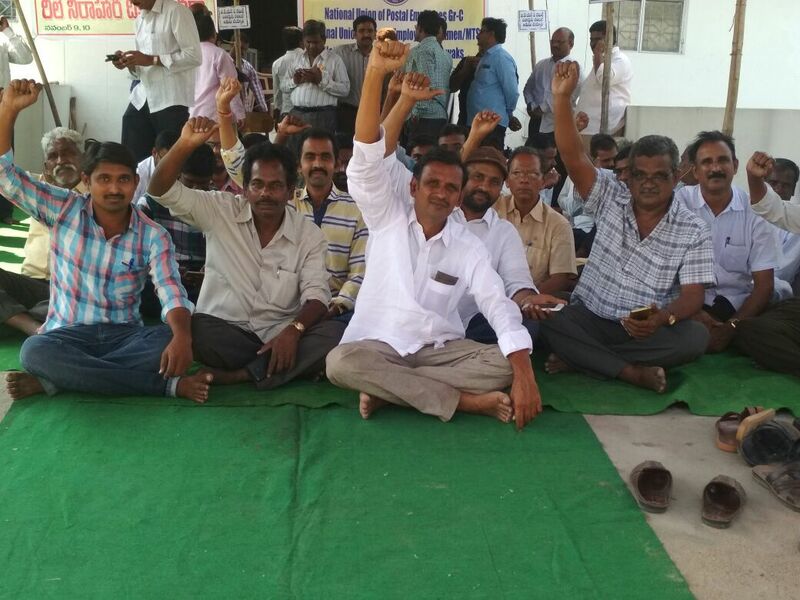 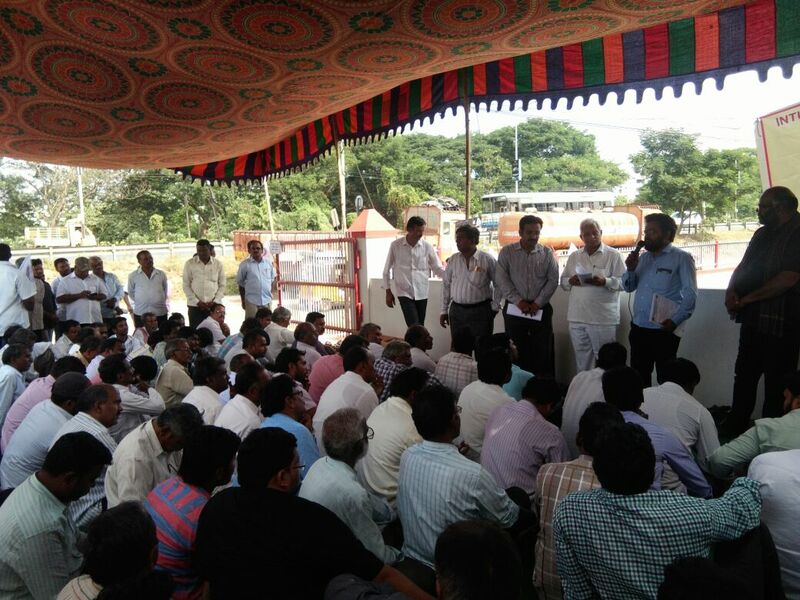 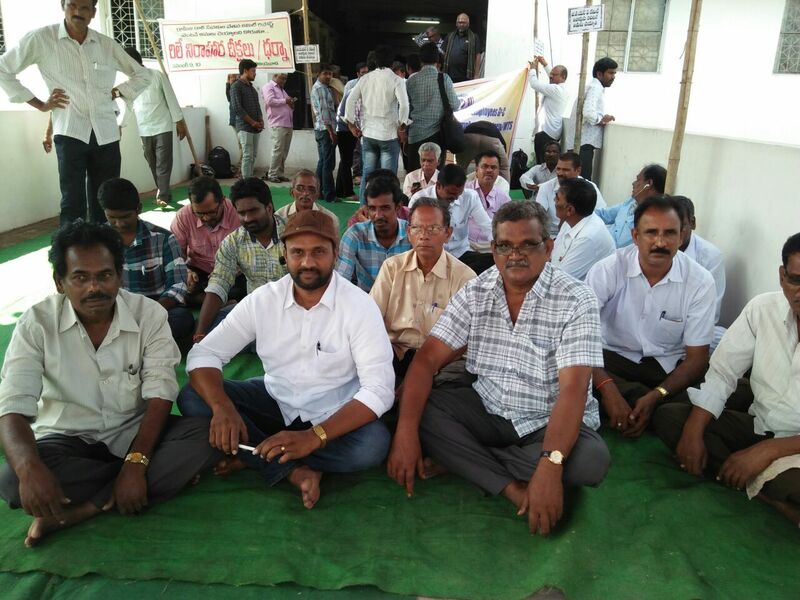 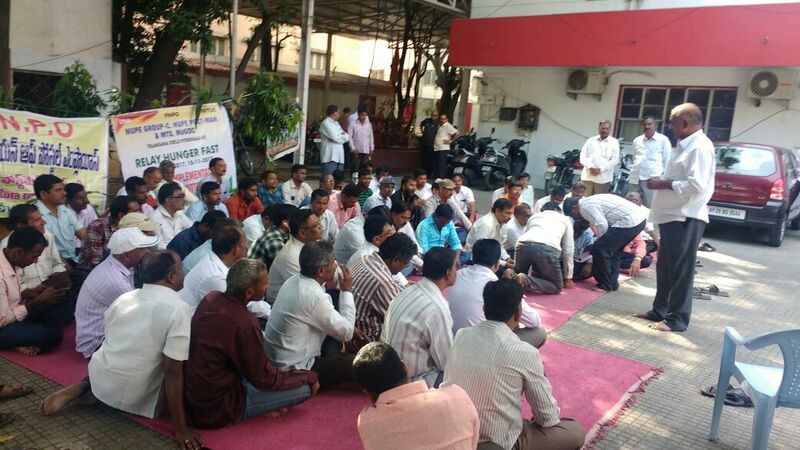 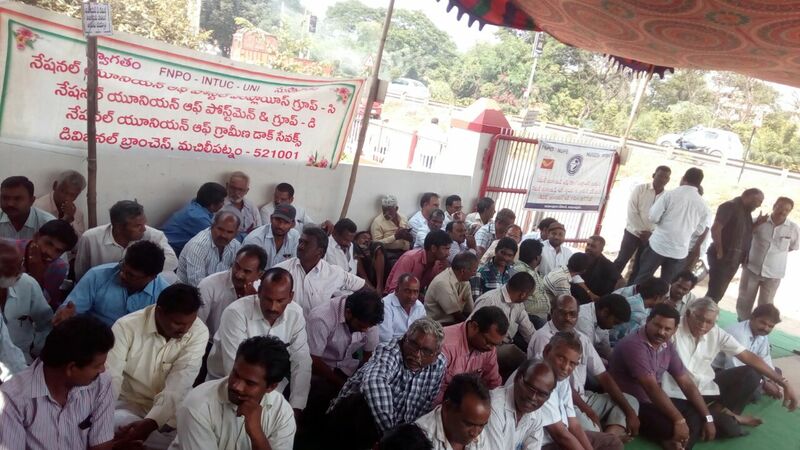 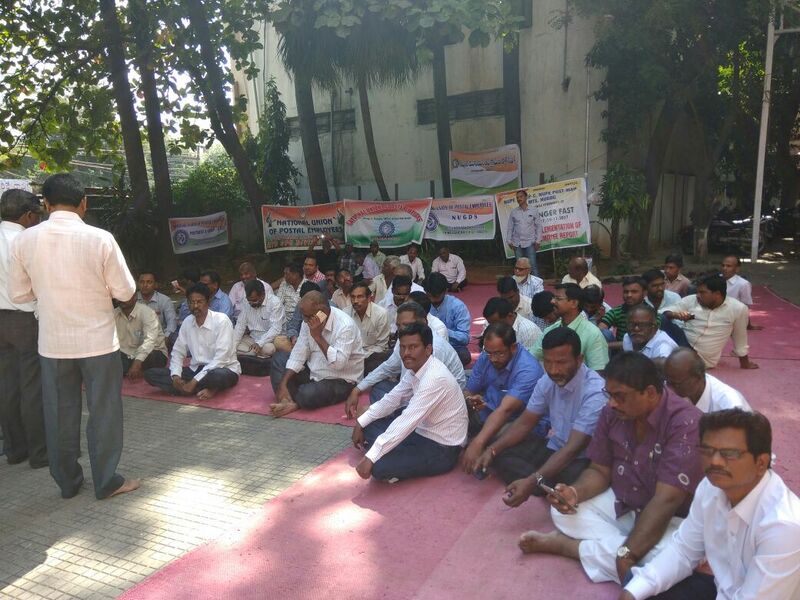 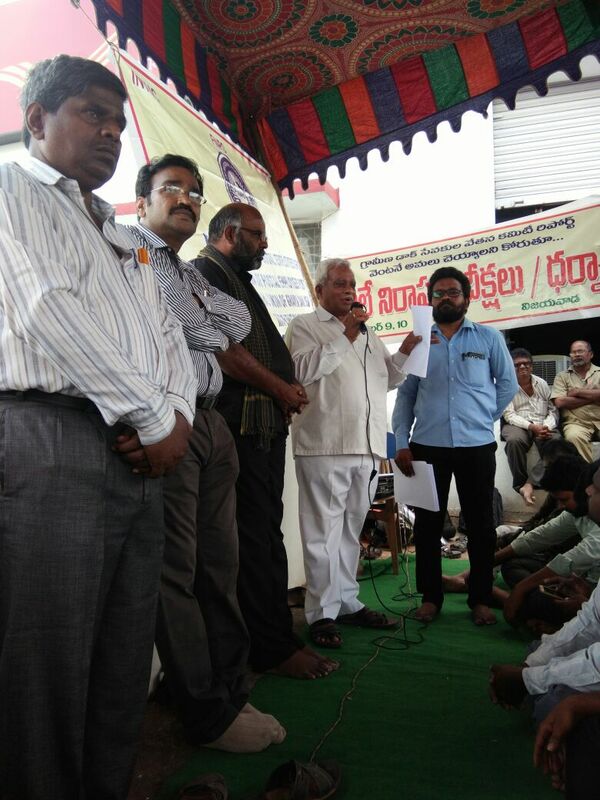 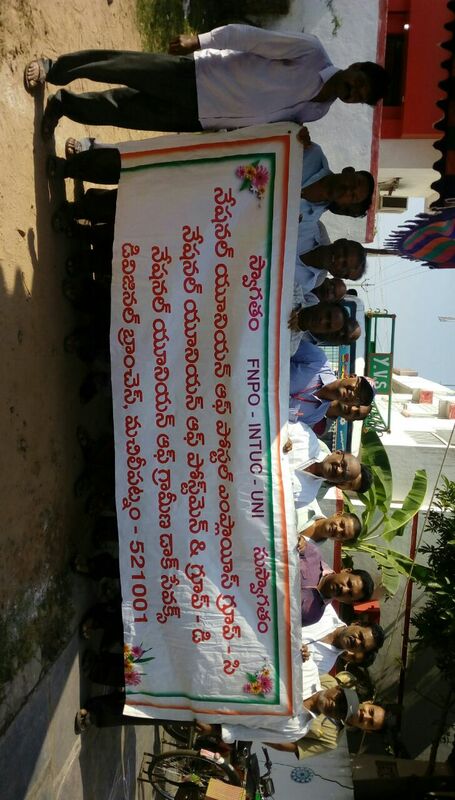 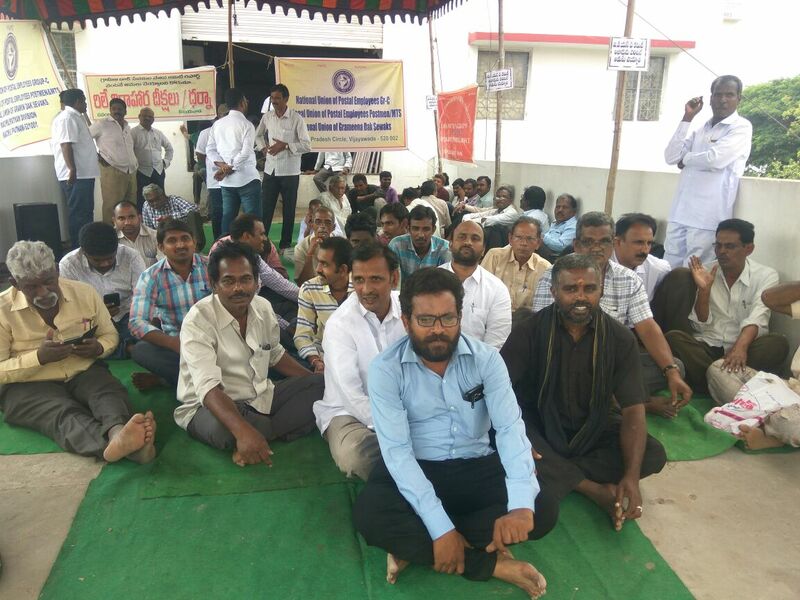 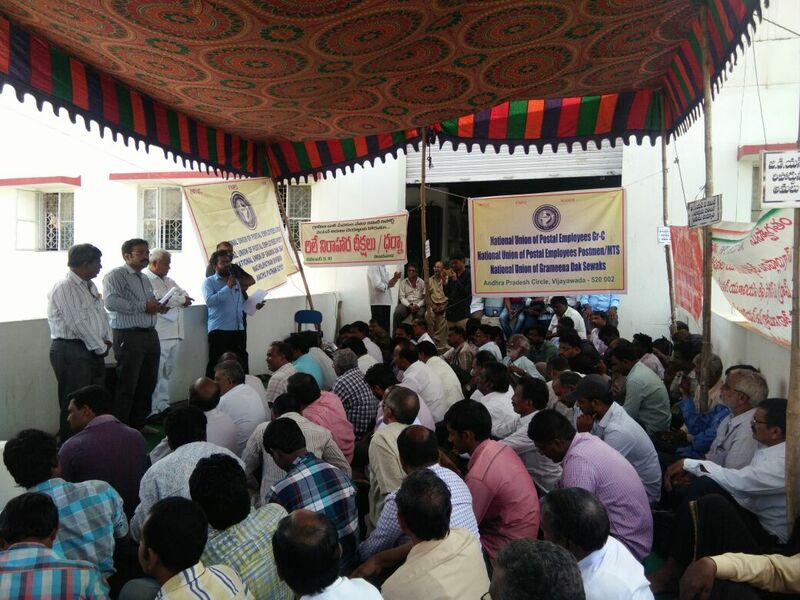 Nearly 250 participants attended the Dharna from all most all the Divisions in AP Circle. 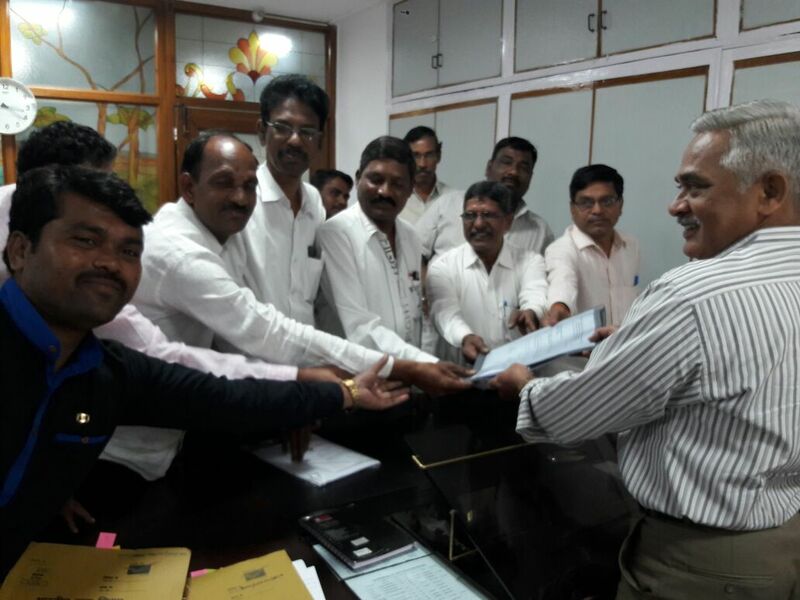 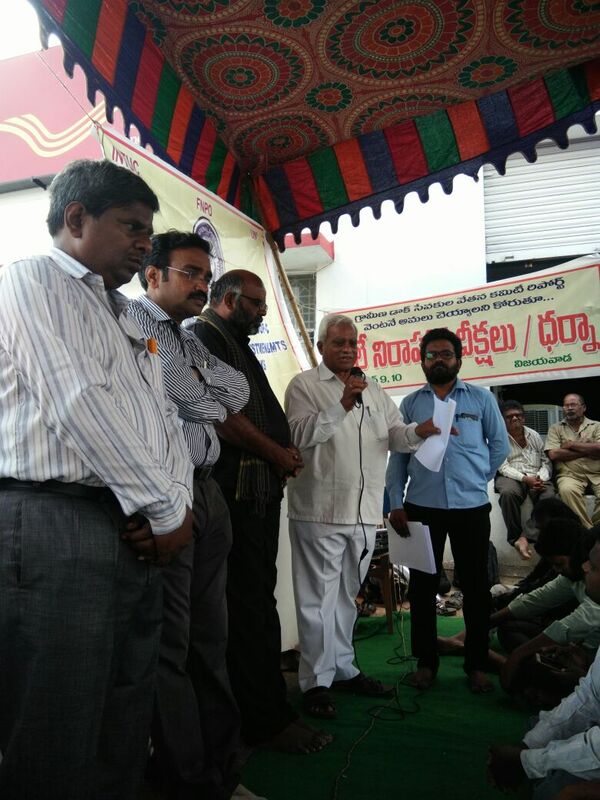 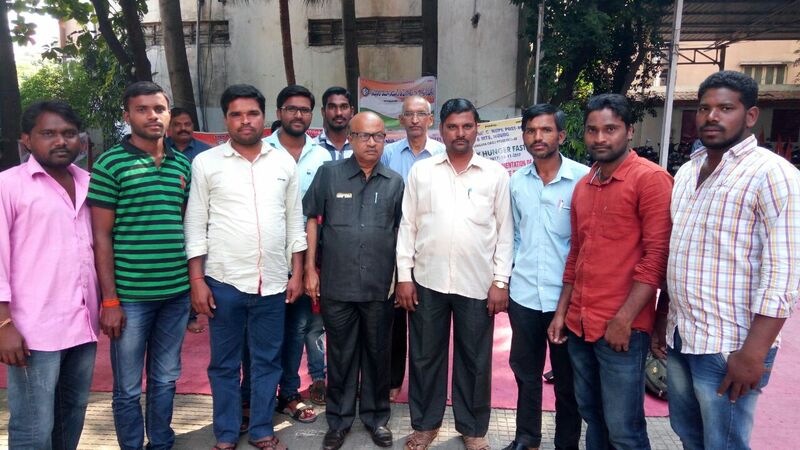 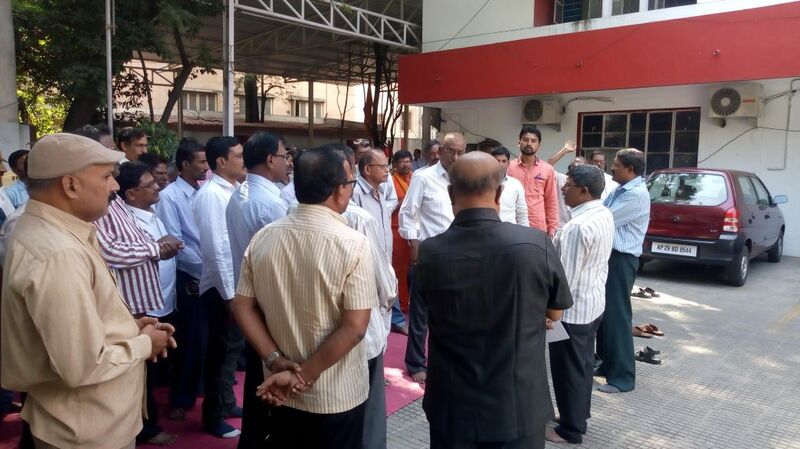 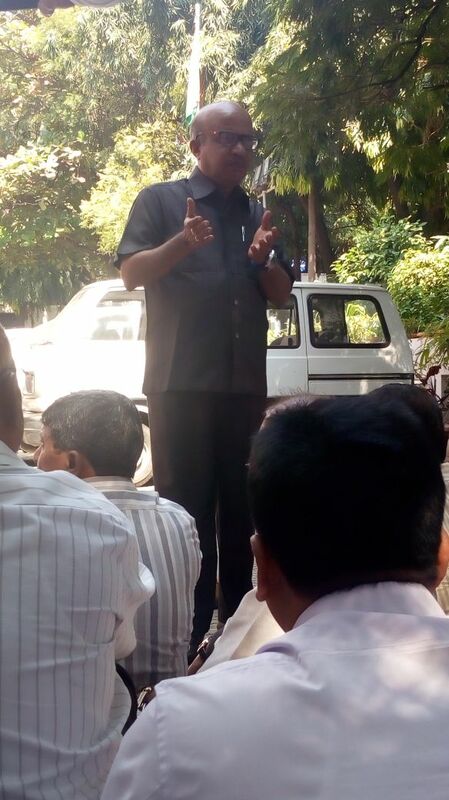 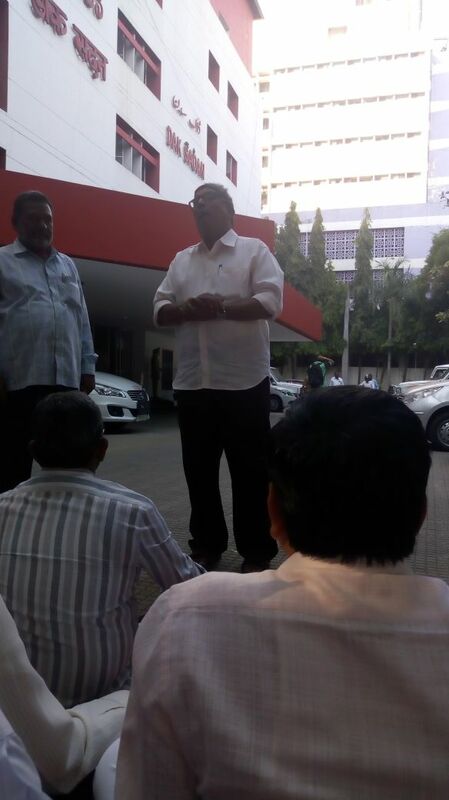 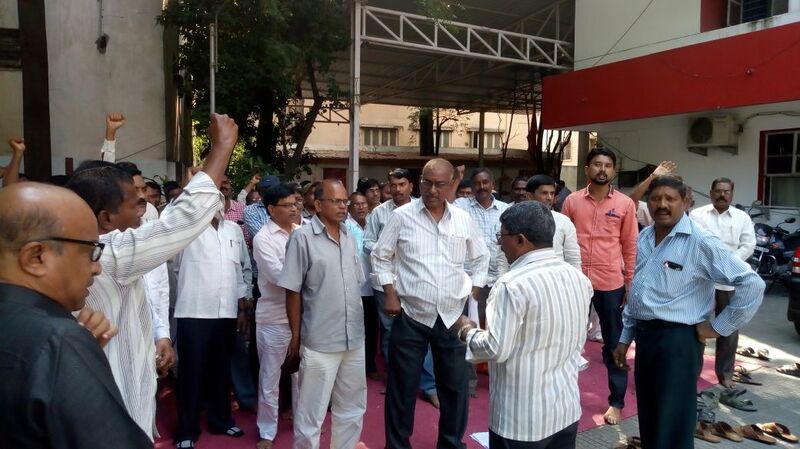 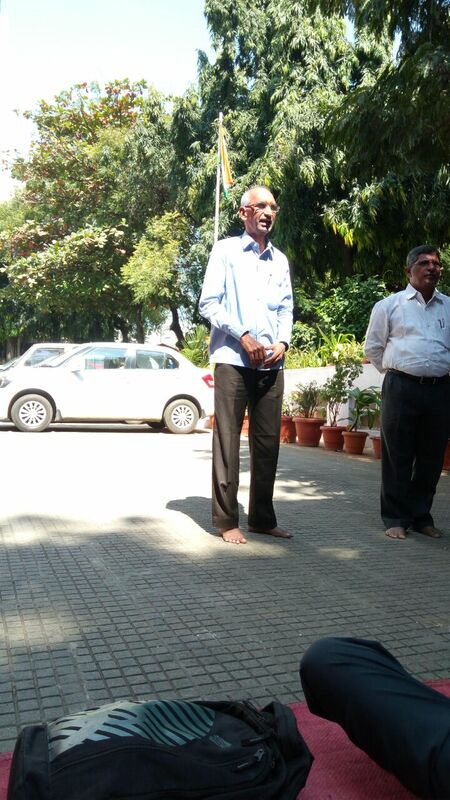 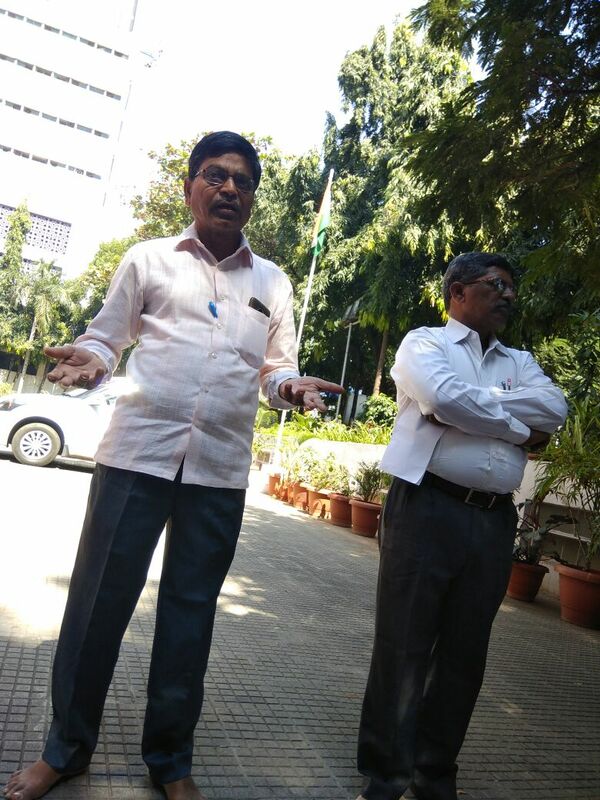 Hon'ble MLC Sri.Boddu Nageswara Rao visited Deeksha place and given his solidarity to GDS. 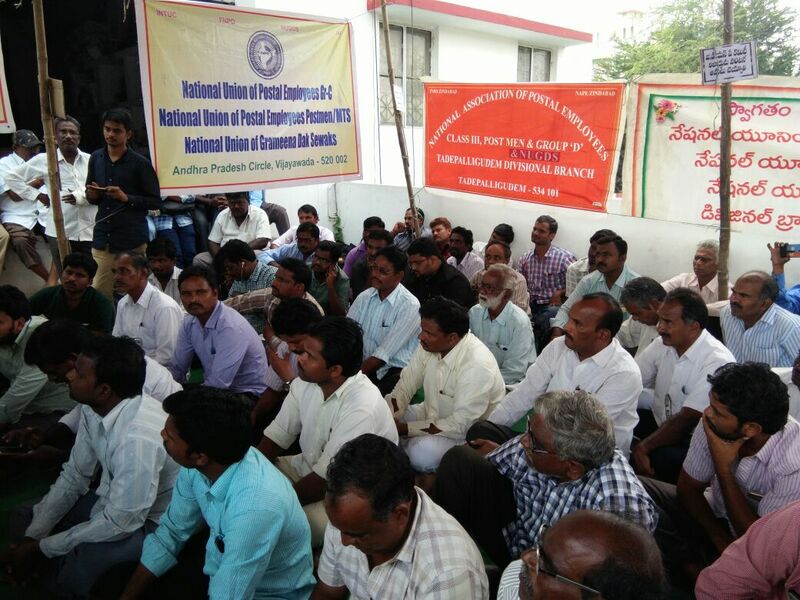 Circle Secretaries of National Union Sri.Vasireddy Sivaji , Sri.NSV.Sastry , Sri.CH.Laxmi Narayana, Regional Representative , NAPE Gr'C' , Vijayawada Sri.M.Tirumala Rao , Dep.CS NUPE PM&MTS Sri.A.Veeranjaneyulu and Dep.CS NUGDS Ramana were attented and addressed the gathering. 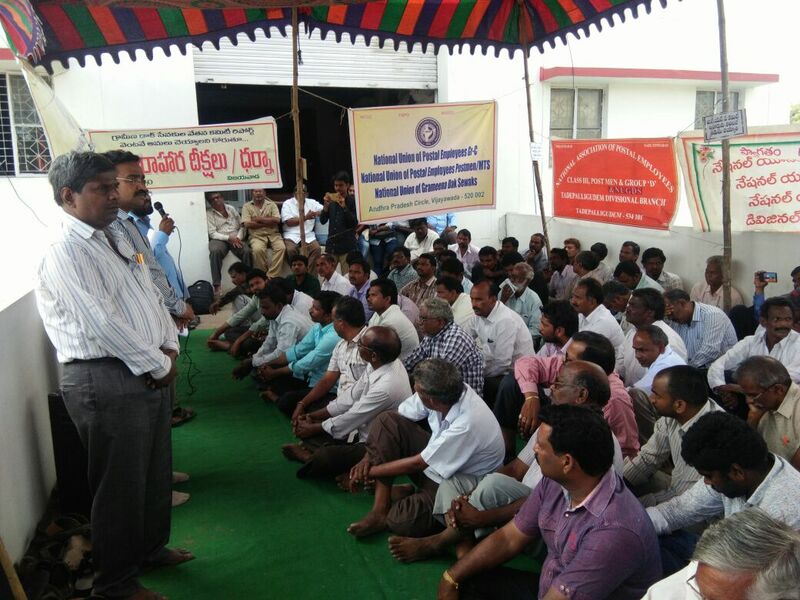 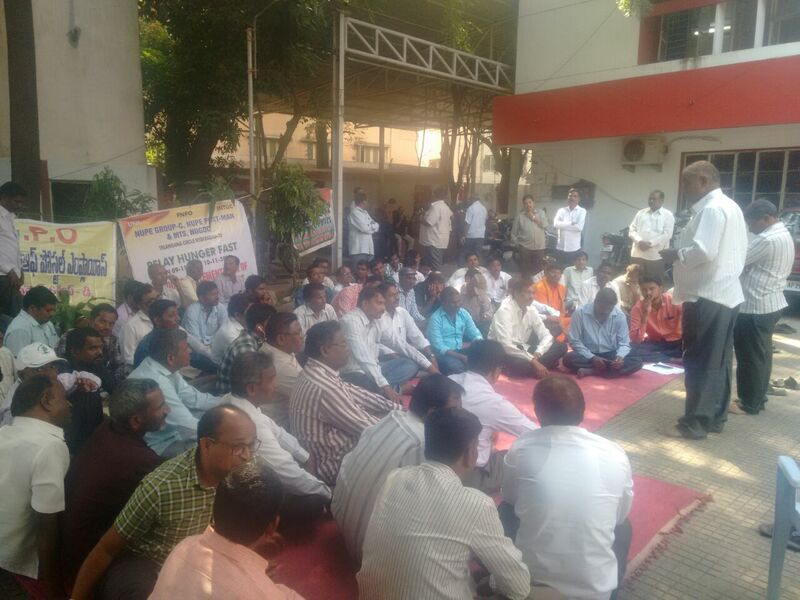 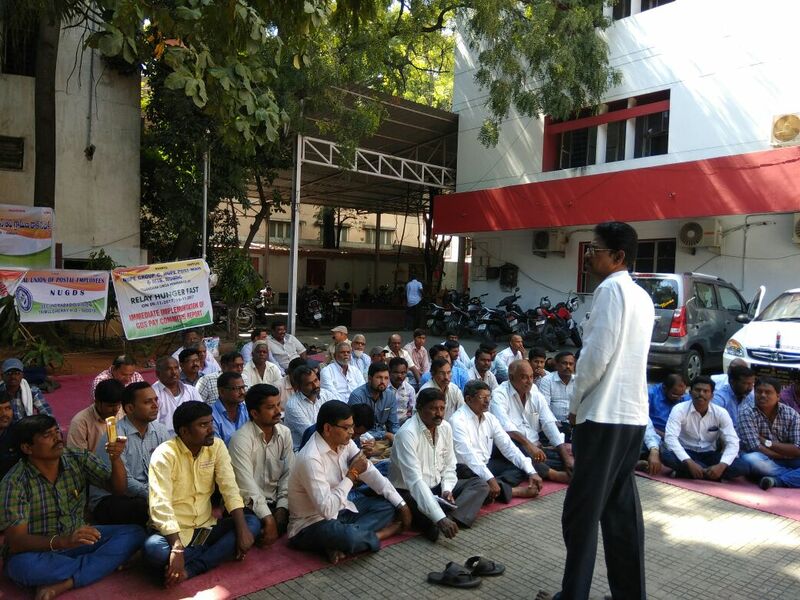 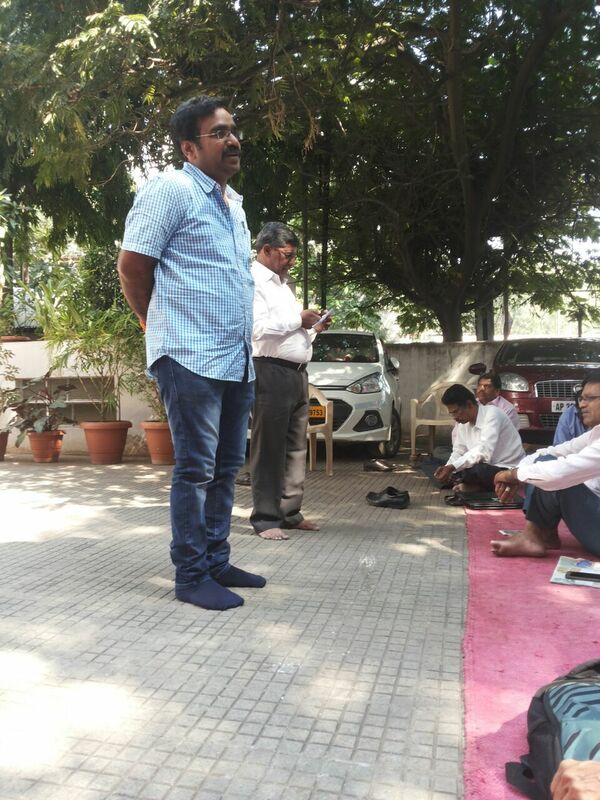 Two days Hunger Fast Programme at Circle Office , Telangana from 09.11.2017 to 10.11.2017 for demanding immediate implementation of GDS Pay Committee Report.